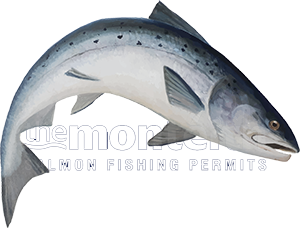 There are many operational attributes that make a salmon beat function well for enhancing the client experience and for catching salmon. In the next couple of paragraphs I'll elaborate on my take on a few of these factors which I can speak about having spent much of my life running salmon beats on the River Tay as a professional ghillie. I will start with the meet & greet as they say that first impressions are important. On arrival at a salmon fishing hut the fire should be lit, the kettle boiled and the ghillie in attendance and expecting you. The initial greeting should be sincere and friendly and if done correctly this makes a great start to the fishing day and relationship development. The fishing hut should be clean & tidy with fresh milk, tea & coffee and clean cups. A smell of disinfectant or cleaning fluid is always encouraging and a recently swept floor with clean windows doesn't go a miss either. I'm not suggestion that a fishing hut should be at the same standard as an operating theatre but it takes a little effort & pride to make any fishing hut feel clean, friendly & inviting. The riverbanks should be cut and maintained with the environment kept in mind. In other words taking the odd overhanging branch off a tree down with a pole saw is much better than felling the entire tree. Trees and salmon juvenile habitat go hand in hand and the 'dappled shade' caused by riverbank trees are important for the environment. A real professional will look at 'sympathetic' riverbank work without going too far with the saw. A professional salmon guide/ghillie will also know exactly when the right time to cut his riverbanks is as if this isn't timed correctly the riverbanks will require multiple cuts each year which is a waste of time. I always found that one serious thorough cut after the first few cooler mornings that appear in August or later will keep the long grasses down for the remainder of the season and through the entire following Spring. I'm also a big believer in having all main salmon fishing pools named with quality signage like you see here. These signs were hand carved out of oak skirting boards for the River Tay's Upper Kinnaird salmon beat and with an initial 3 coats of outdoor varnish and an annual touch up make a brilliant way of letting the fishing guests know exactly what pools they are fishing on which makes fishing pool rotation instructions far easier to follow.